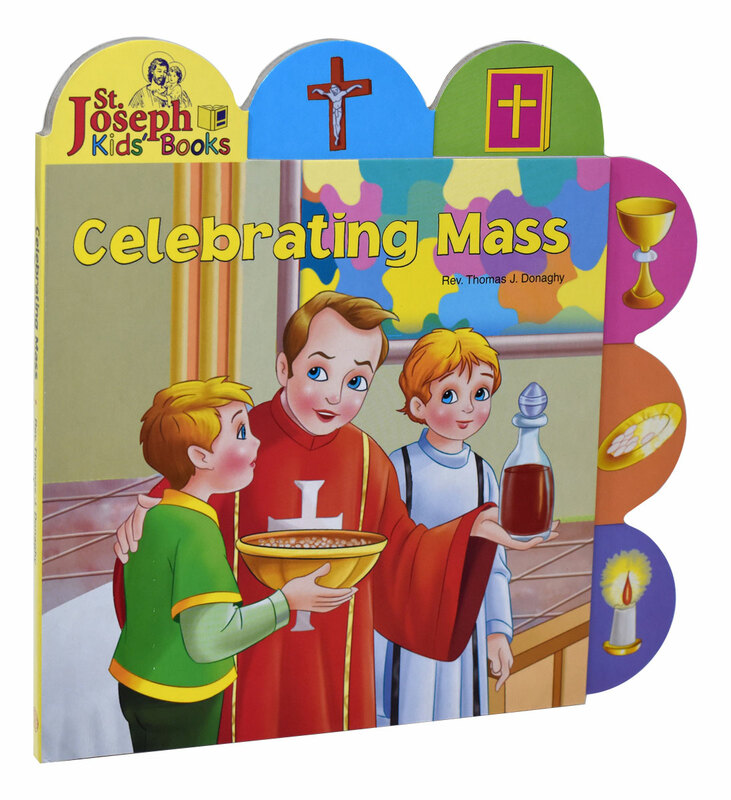 Celebrating Mass by popular Catholic Book Publishing author Rev. 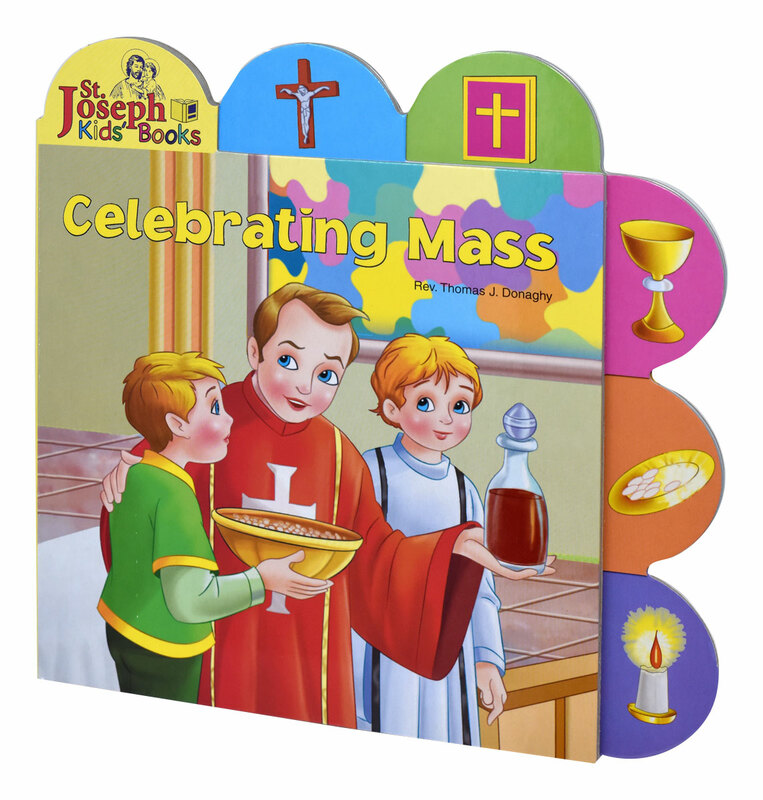 Thomas J. Donaghy is a short board book to introduce young children to the Mass. 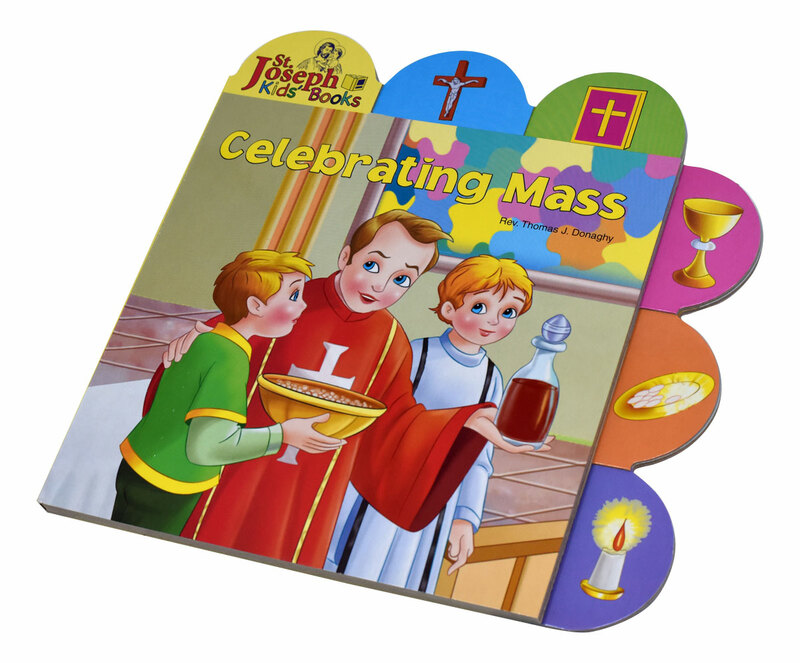 The tabs help children pick out elements in each of the spreads, making reading this book an interactive experience. 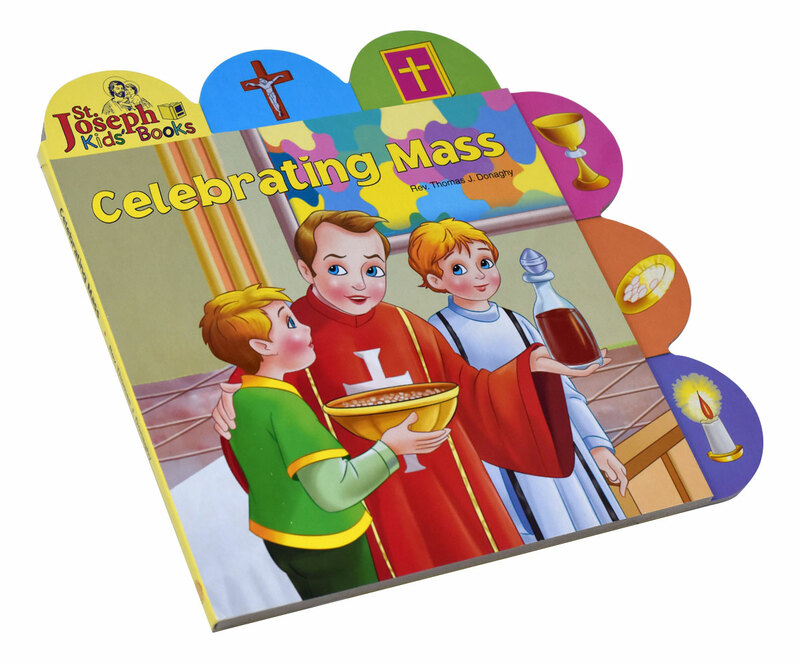 Celebrating Mass contains bright, vibrant, and contemporary illustrations that will make this book an enjoyable learning experience for young Catholic children. 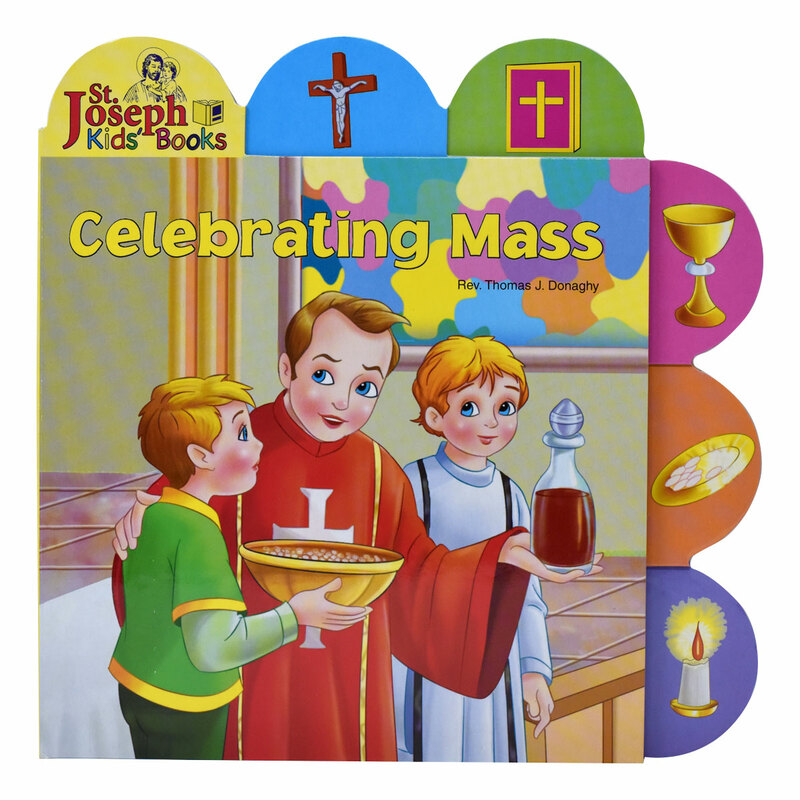 Due to popular demand, this board book is now also available in Spanish.